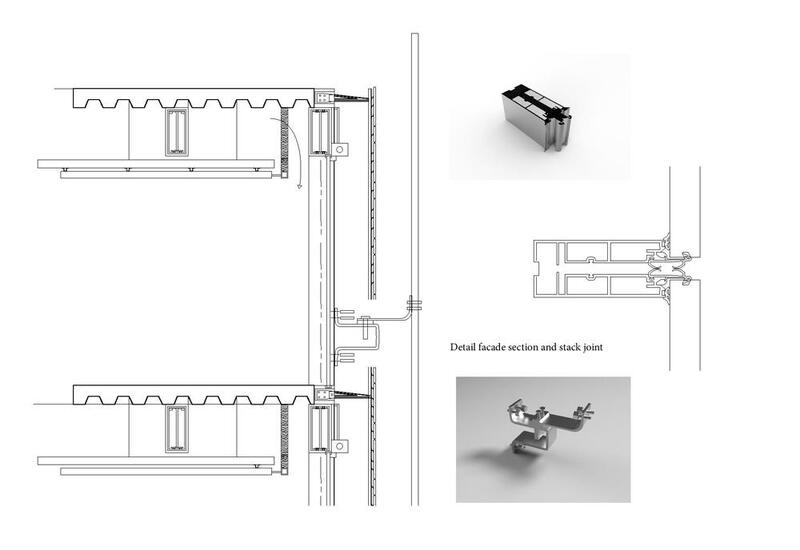 This Structure is to display the future of adjustable/ movable technologies that can adapt to variations in climate and the position of the sun. 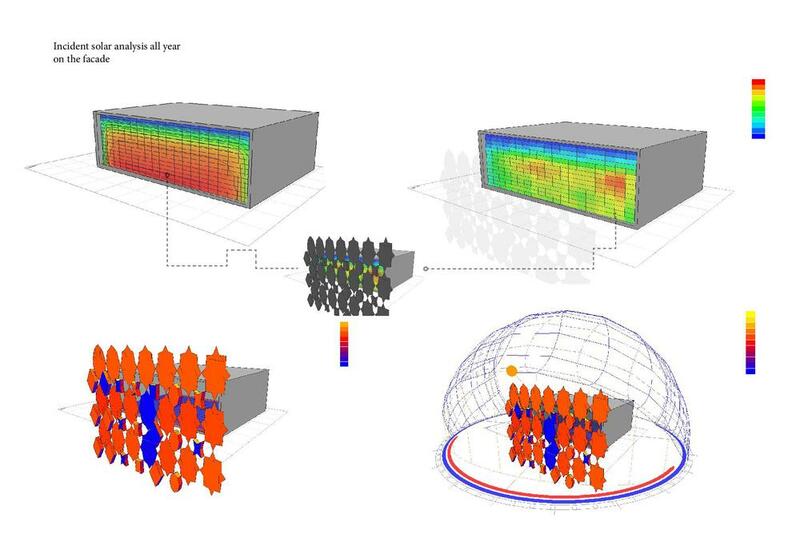 The envelope for this skyscraper function like giant umbrellas with a built with Thermo Bi-metal panels. 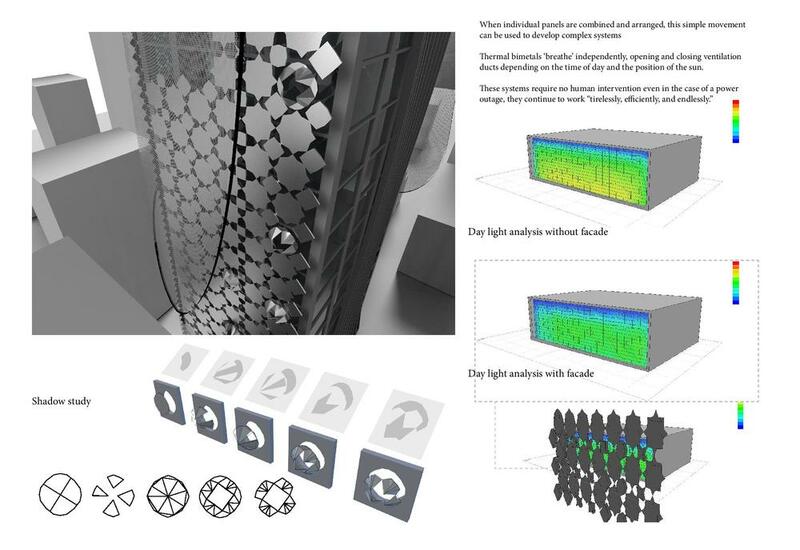 Using thermo-bimetals to create responsive skins that self-regulate building temperature. Bimetals are created by laminating two thin sheets of metals that expand at different temperatures, causing the metal to curl when heated. It can even act as a sun shade and ventilation system, without the need for electricity.